In June 2013 MTS officially announced that V-LUX was the winner of the tender on construction of teleport for the system of direct TV-broadcasting for group of companies OAO “Mobile Telesystems». The construction of the teleport has been completed in 2014. Above design and development, equipment supply and satellite earth station mounting V-LUX also build the new satellite digital TV platform within the project. 2013 - completion of works for DVB-C digital headends construction. The project geography included all major macro-regions of Russia: Sibir (12 cities), Russian Far East (8 cities), Povolzhiye, Tatarstan (10 cities). 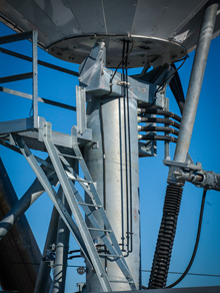 The equipment was installed and adjusted on all of the sites. In 2008-2009 V-LUX designed the digital TV platform and delivered the equipment for the digital cable TV and IPTV project of ООО “NMSC” (Novosibirsk Centre of ZAO “Comstar-Regions”). 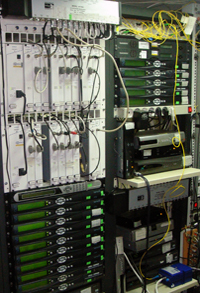 Currently the operator is broadcasting more than 80 digital TV programs.